Nobody knows sound quality and overallaccuracy in sound reproduction like AKG and the demands of the job calls forconcentrated listening across a wide frequency with enhanced bass response– this is the focus of the Y55 design. Built to DJ specs and optimized for the on-the-go lifestyle: a secure fit with rotating ear-cups and a closed-back design prevents sound bleed and ambient noise disturbance. Focus on your sound – not on the soundaround you – with the snug-fitting Y55’s closed-back design, cancellingambient sound from both directions while providing you with a comfortable fit. Mobility is key when you’re moving fast andinto your show. An inline universal remote control with mic provides access tophone calls without interrupting what you’re doing. Remove its cable and accessa plug adaptor for full convenience and added versatility. Compatible with mostsmartphones. Wear and tear on your gear is something toavoid so the Y55 folds down to a flat, easy-to-store and transport package,keeping it damage-free over the long haul. It’s not everybody who can DJ – but those who can want to look the part while they’replaying. 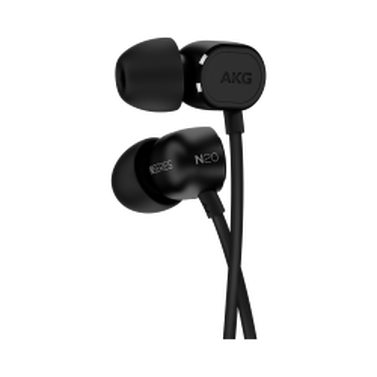 AKG has created a rugged design in 4 stylish colors to keep you coolunder pressure. 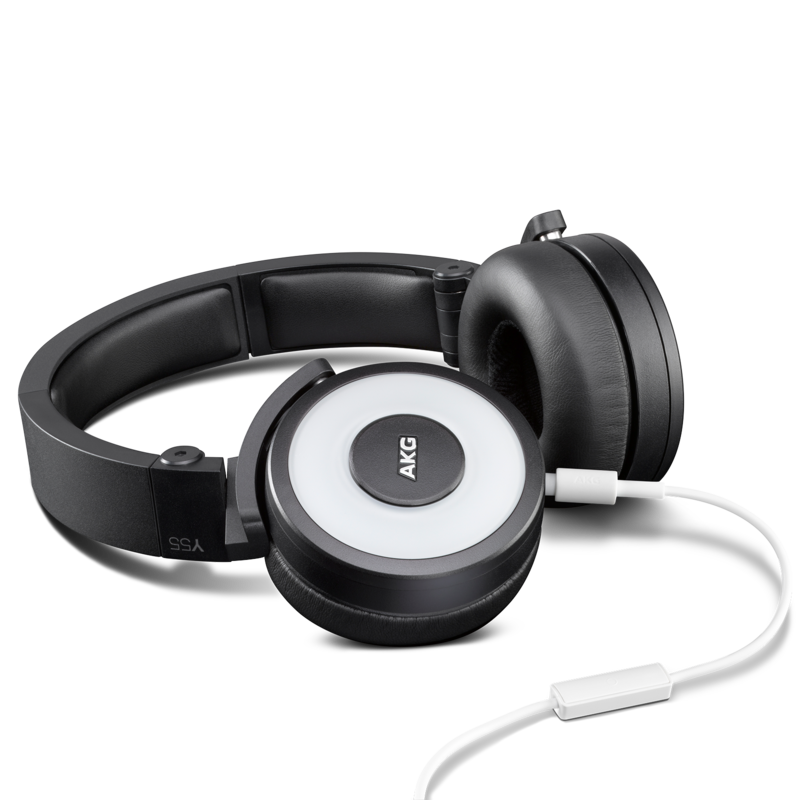 AKG Y55 headphones offer access to AKG-quality sound built to withstand the rigors of an active lifestyle while providing the functionality required to make the job of music-making your entire focus. Nobody in the house understands the importance of sound performance under like AKG. 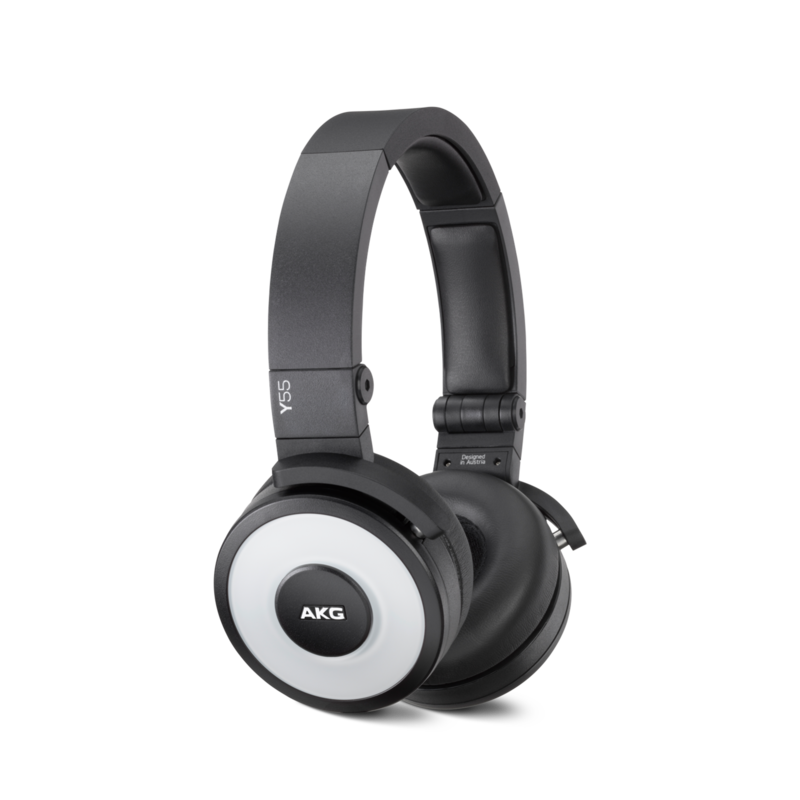 Enter the AKG Y55 for superior sound quality in a closed-ear design to keep ambient sound at bay while upping the bass response and stretching the frequency response for the best read. 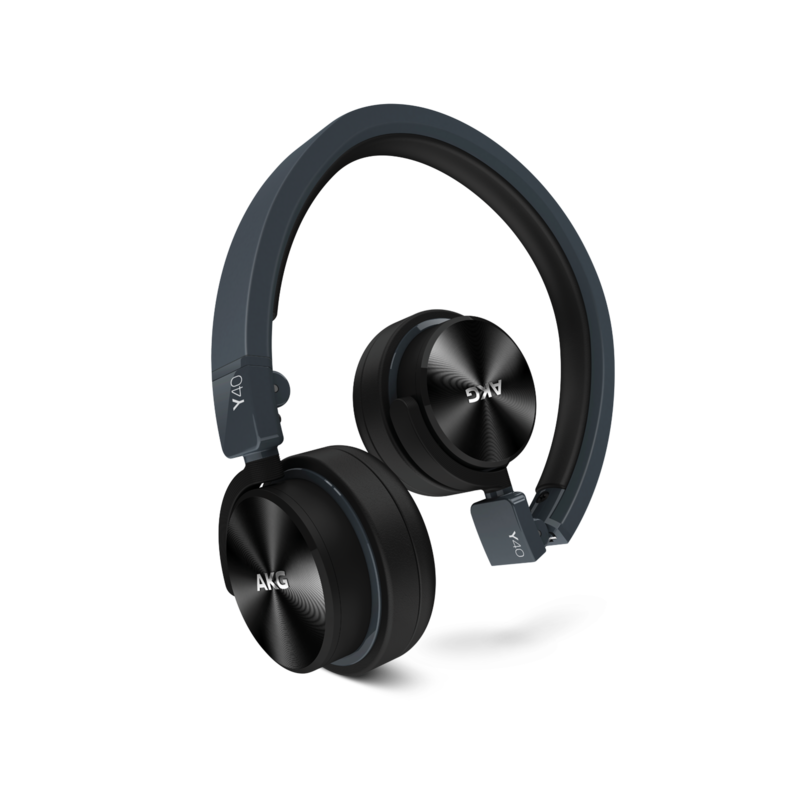 Together with further noise-blocking and a snug fit to deliver on comfort, the AKG Y55’s provide further enhancements like an inline universal remote/mic, a detachable cable for added freedom of movement and a plug adaptor for extreme versatility. Featuring rotating ear-cups, its solid construction and quality materials add durability and a degree of ruggedness to withstand the heavy demands of an active lifestyle. A fold-down, 3D-Axis design allows for flat storage and safe transport of your Y55’s after the show while the availability of four color palettes to choose from – in an acrylic finish – speaks highly of your commitment to combining style with overall showmanship. Built to DJ specs, the new Y55 provides the best sound tools available for the music lover behind the turntable. Soon to be proven indispensible, these Y55’s are perfectly synchronized with your needs, while providing you with a superlative sound experience to keep you the best at what you do.